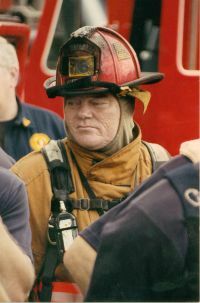 A bread-and-butter fire on February 6, 2010 in Columbus, Ohio ended in the amazing rescue of one of our own. Columbus Fire Lt. Mike Polaski collapsed and went into cardiac arrest while operating in the basement. You will gain a great deal of insight into this incident by watching and you will see that Lt. Polaski not only survived, but provides great motivation to train, train, train in the 30 minute video below. The Columbus (OH) Division of Fire is credited with the making of this video.